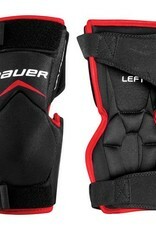 The Bauer Vapor X900 Knee Guard features high density foam on the thigh and knee areas for excellent protection. 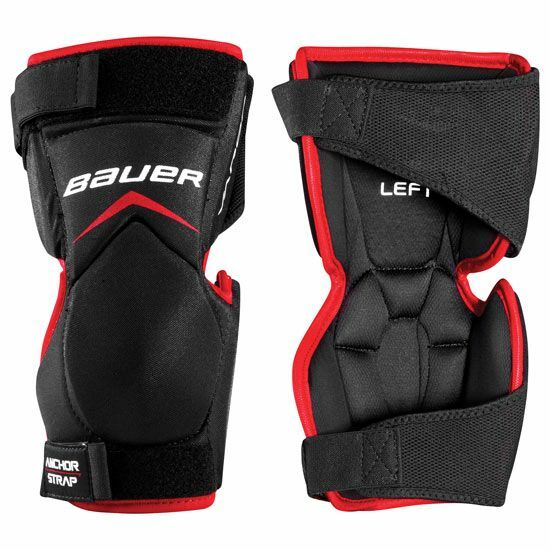 The overlap protective shield on the inside of the knee helps prevent injuries from deflected shots at strange angles and opposing players digging for the puck. The Thermo Max liner helps wick away moisture.